This exclusive Jericho, Qumran and Dead Sea Tour will begin by having you picked up on time at the requested location, by a private air-conditioned executive vehicle and I will be honored to spend the day and share with you the reality of Palestine. On our way to Jericho, we will visit the Tomb of Moses and then find ourselves driving along Ein al-Sultan Street in Jericho, to catch a lift in a cable car up to the Monastery on Mt. Temptation and appreciate a panoramic view of the Jordan Valley, followed by a delicious lunch at the Mt. of Temptation Restaurant. After lunch, we will visit Hisham’s Palace and the famous Sycamore Tree. Moving along, we will partake in one of the highlights of my tours, experiencing while wondering how the residents of a refugee camp in the WB, are able to survive living under the hardest possible conditions. We will meet with residents of the camp and walk through the narrow streets and alleys, while learning of their origins and hearing stories of their life under occupation. Gaining memories to last a lifetime, you will also discover that the Palestinians are still optimistic about the future and continue to hope and pray for peace. We will then visit Qumran, where the Dead Sea Scrolls were discovered and on our way back, we will also stop to float, relax and enjoy the therapeutic salt water of the Dead Sea. 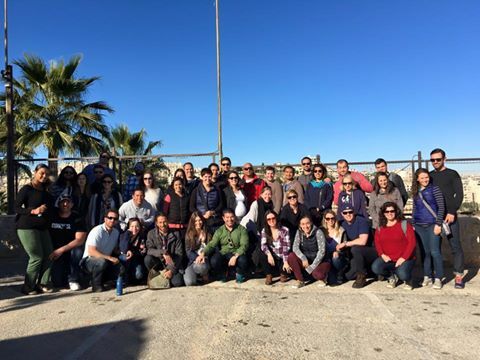 We will end the tour by driving back to the initial agreed upon location, where you will be dropped off with a smile, having gained a raw and authentic lens of the difficult political and emotional terrain of Palestine and Israel.